Don't let your 404 page go to Waste! | Let's Biz Up! You are here: Home / 2014 / February / 03 / Set your 404 Error Page to work! Set your 404 Error Page to work! If you are in the Internet business, you probably know the dreadful ‘404 page’ or the ‘Not Found error message’. 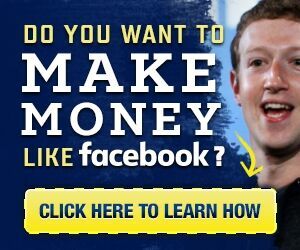 But what most people might not know is that you can still put that page to use and earn a revenue from it. Here I want to share a tip with you, and that is getting leads from your 404 page. You Can Get Leads From a 404? When using a blog powered by WordPress, it generates its own 404 page when a reader requests a page that isn’t there. But the thing is, the standard 404 page is a wasted resource where visitors don’t pay attention to. Creating a personalized 404 page with WordPress used to require a lot of coding skills. But now, thanks to Funnelkit and the WordPress plugin “404 Simple Redirect“, it’s as easy as a few clicks of the mouse. Here’s how to create a custom lead capturing 404 page using Funnelkit. Simply follow the Funnelkit instructions and within minutes you’ll have a custom design. Funnelkit integrates with all major email list services like Aweber. You just need to synchronize the sign-up form of Aweber with your Funnelkit Squeeze page and the list you want to use. Once the 404 squeeze page is set up, the last step is to log into my WordPress blog and select the 404 Simple Redirect WP plugin and follow the instructions: copy the new created squeeze page link into the 404 Simple Redirect settings and you’re done! Set Up Your Custom Lead Capturing 404 Page with Funnelkit here! I hope you liked this “Set your 404 Error Page to work” post and look forward to your input.